The city-state wants to develop synthetic microorganisms that can be used to produce drugs and food. 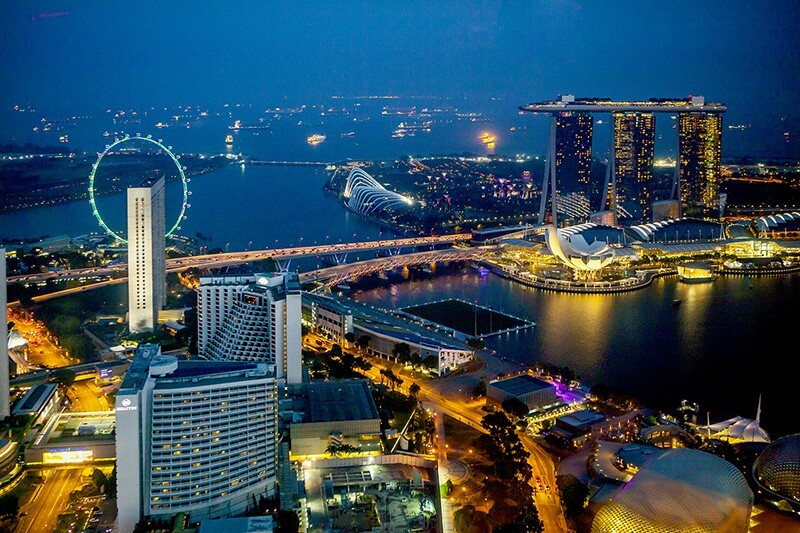 Singapore has set its sights on becoming a global powerhouse in synthetic biology. The government is pouring money into a new research programme and is encouraging scientists to make synthetic microorganisms, or redesign natural ones, that can be used to produce food, electronics, medicine and energy. Officials hope to recreate what they have previously accomplished through decades of investment in biomedical research. That backing helped to create Singapore’s thriving pharmaceutical industry, which turned the city-state into a hotspot for drug manufacturing in Asia. In January, the government launched a synthetic biology research and development programme, which will receive 25-million Singapore dollars (US$19 million) over five years. Four projects have already received funding. In addition to that investment, grants worth up to half a million Singapore dollars are also available for synthetic biology researchers who collaborate with Chinese peers, as part of a joint scheme between Singapore’s National Research Foundation and the National Natural Science Foundation in China. Researchers have until the end of this month to submit proposals. The national synthetic-biology strategy prioritizes three areas: developing synthetic cannabinoids, producing rare fatty acids and developing new strains of microorganisms that can be used to create products for industry. “We are not competing to be the best in all areas, we are competing in areas where we have an edge,” says George Loh, who is the director of programmes at the Singapore’ National Research Foundation, which will announce the grant-winners in September. One of the country’s strengths is that its government has the power to make significant investments in the field if it chooses, says bioengineer Richard Kitney, co-director of the Centre for Synthetic Biology and Innovation at Imperial College London. Singapore’s interest in synthetic biology has been gathering momentum since 2012, when a government task force concluded that the field had good commercial potential and could take advantage of the nation’s existing research strengths in biomedicine. In 2015, the country’s first research centre dedicated to synthetic biology opened at the National University of Singapore. The Synthetic Biology for Clinical and Technological Innovation (SynCTI) engineers microorganisms that produce speciality chemicals and medicines. It also trains researchers in the field. In 2016, a consortium was established to help research organizations such as SynCTI work with industry to translate academic research into products. Since 2016, the government has invested almost 60 million Singapore dollars in the field, including the latest round of funding. The four projects that have already received funding include two that will focus on the sustainable production of cannabis plants for medicines. Cannabinoids are used in pain medication, but current methods for cultivating marijuana crops and extracting the active compounds are expensive, laborious and produce little. The projects will explore how fast-growing Streptomyces bacteria strains can act as a host for producing cannabinoids, offering a potential new way of making the compound without growing marijuana plants. Another project will aim to create odd-chain fatty acids, compounds which are found in very small amounts in nature, such as in cow's milk. The fatty acids are used to make triglycerides found in nutritional supplements, fragrances and food. Researchers do not have a readily available source of odd-chain fatty acids to make triglycerides, says plant biologist Nam Hai Chua, deputy chairman of Singapore’s Temasek Life Sciences Laboratory and head of the new programme. The project will also investigate how tweaking the length of such fatty acids using specially engineered enzymes can alter the acids’ chemical stability, as well as their nutritional and sensory properties, to make them more useful, he says. “I think it’s a very interesting area to go into,” says John Cumbers, founder of SynBioBeta, a US-based synthetic biology start-up. Unlike research into synthetic cannabinoids, an area in which a number of groups in California are already making headway, investigations using odd-chain fatty acids remain relatively niche, he says. The country is also developing synthetic yeast and bacterial strains for industrial use in producing commercial compounds, says Chua. Although microbes can be purchased from national collections around the world, these strains are usually reserved for research rather than for commercial applications. Having a national strain for which the government owns the intellectual property removes that barrier, says Loh. But Cumbers wonders whether the city-state will be able to attract enough venture capital to fund large-scale synthetic-biology pursuits. “The culture is still very conservative,” he says. For instance, the largest private investment in a Singapore synthetic-biology company is US$10 million, raised by Engine Biosciences in January. By contrast, the largest investment in a US-based synthetic-biology company stands at US$275 million, raised in 2017 by Gingko Bioworks, based in Boston, Massachusetts.